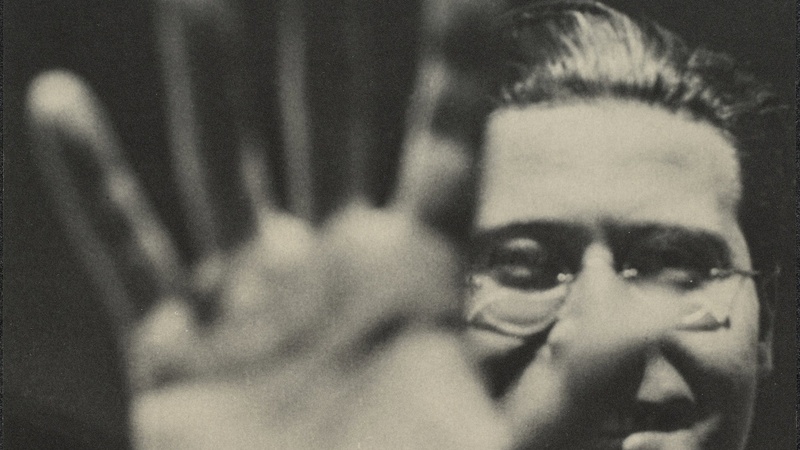 We talk a lot about pushing boundaries in contemporary art but for Hungarian artist László Moholy-Nagy (1895-1946), there seemingly were no boundaries at all. In the aptly titled Future Present, the first comprehensive retrospective in the US in 50 years, co-organized by curator Carol Eliel at LACMA, includes his paintings, photography, typography, graphic design, kinetic sculpture and work made with industrial materials. Oil on canvas, 44 × 36 1/2 in. Operating during one of the most tumultuous periods of Western history, Moholy-Nagy emerges in this show as unwavering in his curiosity and commitment to New Vision, the title of his first book. Though only 51 when he died, he lived through the collapse of the Austro-Hungarian Empire, served in World War I, abandoned his early aim of studying law to study art and in 1920 moved to heady, cosmopolitan Berlin. 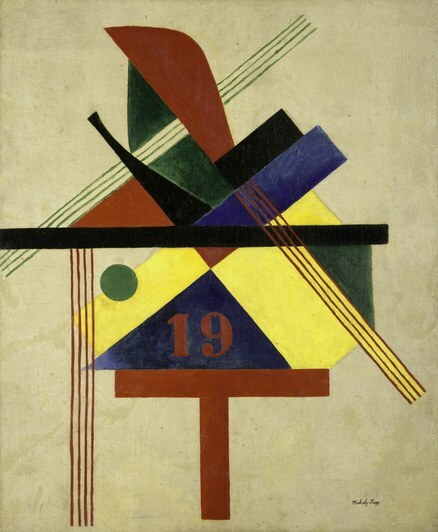 By 1923, he was making geometric abstractions derived from the Russian Constructivists. Oil and incised lines on Plexiglas, on original base, 18 × 14 1/4 × 6 1/4 in. Three pieces from that year illustrate his particularly inventive approach. Selected from a series of five, all are identical in composition: panels of white enamel each with a thick vertical bar of black and thinner lines of red and yellow, each piece is a different scale. 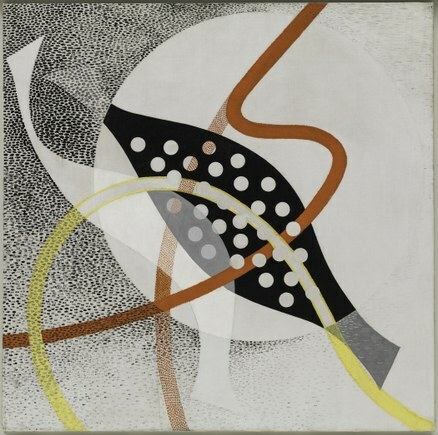 Called the "telephone paintings," Moholy-Nagy had them made by a commercial fabricator, an idea widely embraced in realm of pop and conceptual art nearly half a century later. Around that time, he began teaching at the Bauhaus in Weimar, the short-lived epicenter of modern thought in design and architecture. Gelatin silver print, 9 7/16 × 7 1/8 in. This retrospective, smartly installed by the architectural firm Johnston Marklee, includes many of his early geometric abstractions made with balance and graphic punch. But his early and determined embrace of industrial materials is the most intriguing and enduring aspect of his work. 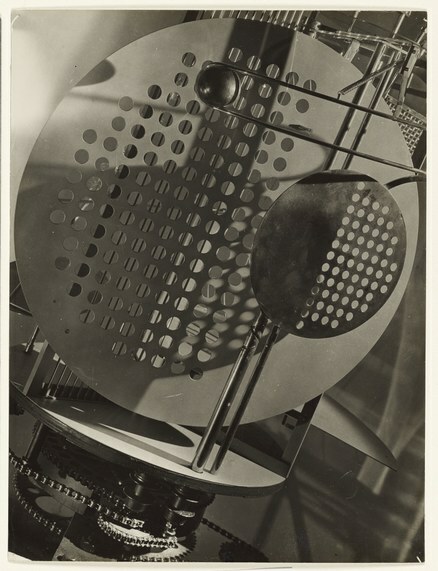 His 1930 "Light Space Modulator," a sort of moving projector built of perforated metal discs, embodies not only his grasp of technological change but also a fundamental interest in the properties of light. This latter evolved from his early work in photography, especially photograms, for which he coined the term in 1925. This form of camera-less picture making involved placing an object onto light sensitive paper and exposing it to light to produce an usually abstract image. The show dedicates considerable attention to both his photograms and photographs. As it says in the catalog, "he sought to materialize light and to use light to dematerialize matter." You see it in his many paintings on varieties of newly invented plastics and metals such as "Sil 2" (1933), red and black angles that appear to be floating on a sheet of softly reflective aluminum. Gelatin silver print, 9 5/16 × 7 in. Oil and graphite on canvas, 46 7/8 × 47 1/8 in. Moholy-Nagy's art and writing have continued to influence on generations of younger artists, quite specifically Southern California artists interested in perception and the qualities of light and space. Craig Kauffman had read Moholy-Nagy's book and pursued his experiments by making large wall reliefs with Plexiglas and spray paint. 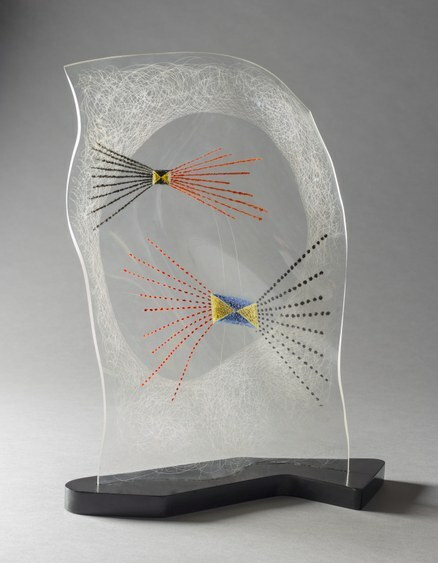 The exhibition includes a great number of rarely seen Moholy-Nagy pieces made from Plexiglas, which had been invited in 1934 for use in aircraft windshields. A piece of Plexiglas cut into arabesques and suspended from the ceiling by monofilament, "Leda and the Swan," is lit in a way that casts shadows and reflections on the darkened walls around it. 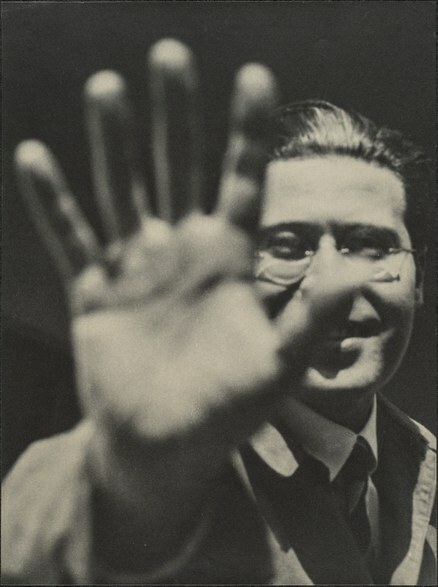 Completed in 1946, the last year of his life, it encompasses a multitude of issues that make Moholy-Nagy's art relevant today. 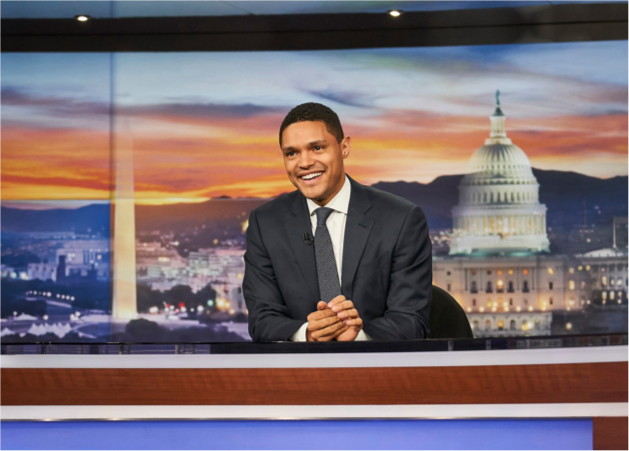 The show continues to June 18.